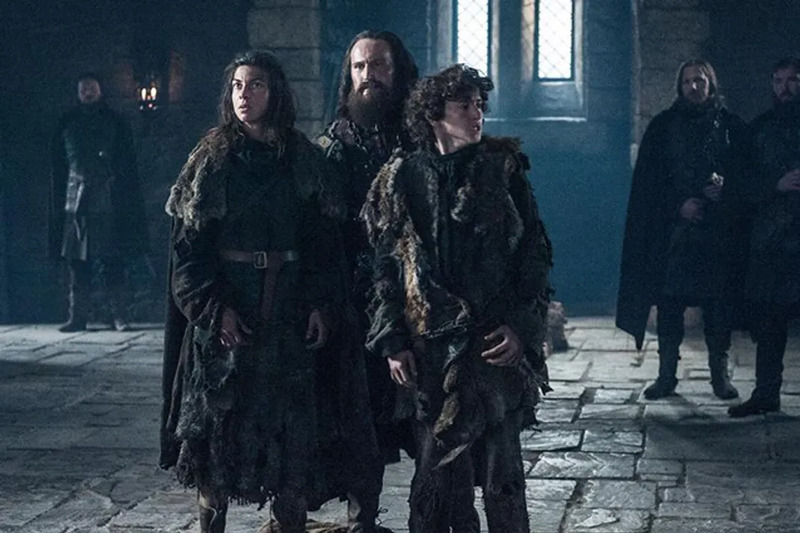 In last Sunday’s episode of Game of Thrones entitled, “Oathbreaker”, we were so focused on our beloved Lord Commander Jon Snow’s miraculous recovery, that we nearly died from shock when the littlest Stark, Rickon appeared out of nowhere. After all, Baby Stark has been absent for three seasons. Unfortunately, Rickon resurfaced in the worst way possible. He’s back at Winterfell, but he’s now in the clutches of the monstrous Ramsay Bolton. Rickon, along with his caretaker Osha, were turned over to Ramsay by Smalljon Umber; who also seemed to have the head of Rickon’s direwolf Shaggydog in tow. Some might think that this is just wishful thinking from GoT fans who have suffered enough. However, we think Arryns’ theory makes a ton of sense. First and foremost, as Arryns stated, House Umber has always been loyal to the Starks. We just don’t see Smalljon going back on his father’s oath like this. Secondly, Osha is not a fool, she’s smart and crafty AF. Why would the Umbers think to bring her along as well, and not just kill her? Unless of course she was in on this massive plot to overthrow the Boltons. At this point she’s like a mother figure to Rickon, and we all know how far mothers go to protect their kids. Furthermore, that supposed head of Shaggydog’s was pathetic AF. Think about how large Jon’s direwolf Ghost is (and homie was the runt of the litter), we’re just not convinced that Shaggydog’s head would be so small. Finally, there is Rickon himself, the boy looked unbothered by his supposed headless direwolf, (think about how devastated Sansa was when Lady was killed or how terrible it was for Ayra to leave Nymeria). And, Rickon looked defiant AF, he looked like he could care less that he was in Ramsay’s presence. We’re going to just cling on to this theory with all of our might, because if it’s not true then we can only imagine the horrors that are awaiting our Little Lord at the hands of that creaton Ramsay Bolton.